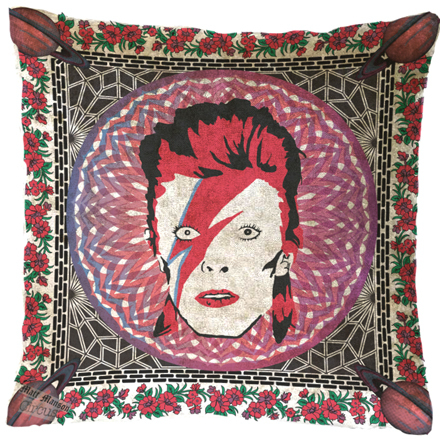 Working with Circus the Brixton Village based store I was asked to create a cushion and silk scarf for a in store collection. 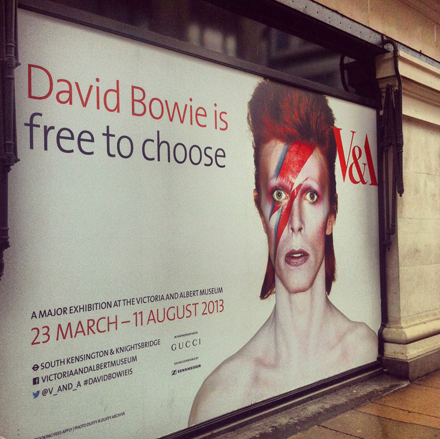 I chose David Bowie as my subject matter with his strong Brixton links. 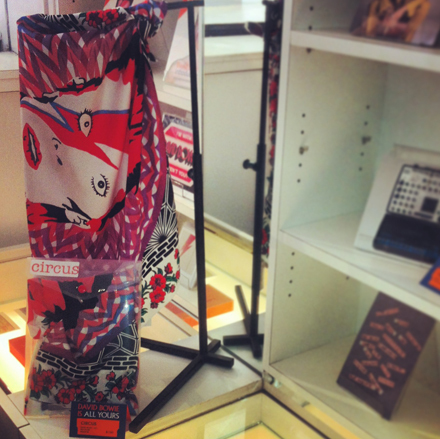 The Collaboration was first displayed at Somerset House as part of the 2013 Startup Showcase and was quickly picked up by Selfridges and hit the Oxford street store. 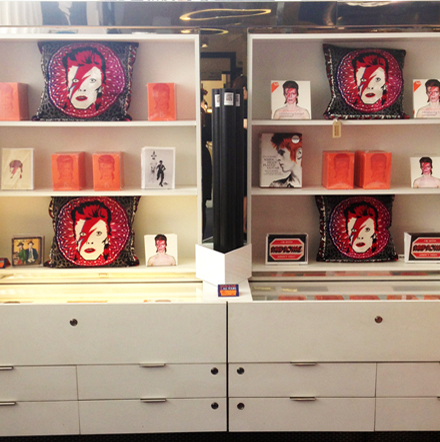 Selfridges stocked the collection as part of a Bowie pop-up shop and displaying the collection on the ground floor to coincide with the V&A’s retrospective of Davids career. The collection was on sale until June 2013.